Drive through the magnificent scenery of the Carpathian Mountains. 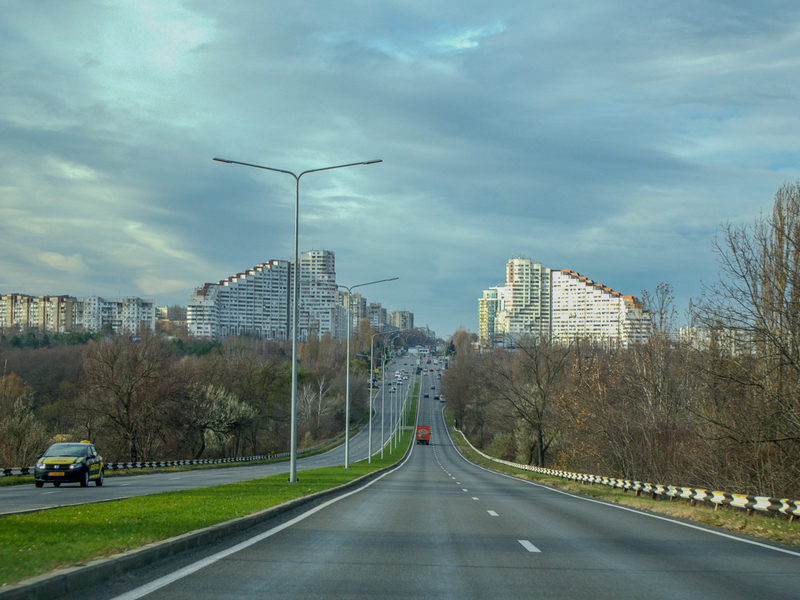 Leaving Bucharest in the morning you’ll be transferred to the Bulgarian border which is just 55 km from the capital city of Romania. Crossing the Friendship Bridge across Danube River and passing the city of Ruse, we reach Rusensky Lom Valley. Starting 12th century, along this valley, the monks dug their chapels and churches and today this represent an important tourist attraction of Bulgaria. Basarabov Rock Monastery is very much connected with the existence of Saint Dimiter Basarabov an important saint venerated by both Romanians and Bulgarians. 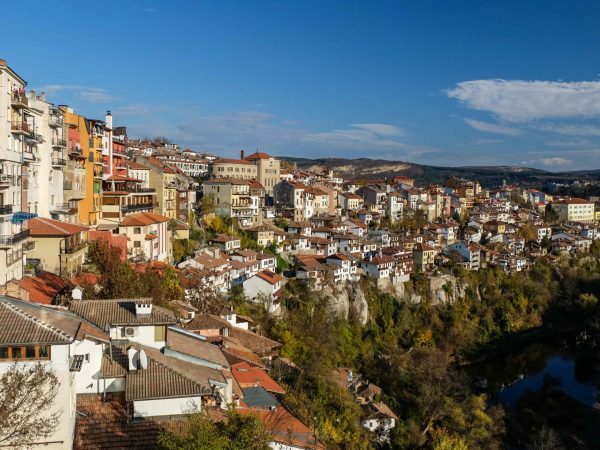 Next important stop during Northern Bulgaria Tour is the old medieval town of Veliko Tarnovo. Out of the old town of Veliko stretches Tsarevets Fortress the former capital of the Second Bulgarian Empire, founded by Petur and Assan brothers, an important political, economic and religious centre. In 1393, after a siege of 3 months the fortress was conquered by the Ottomans. 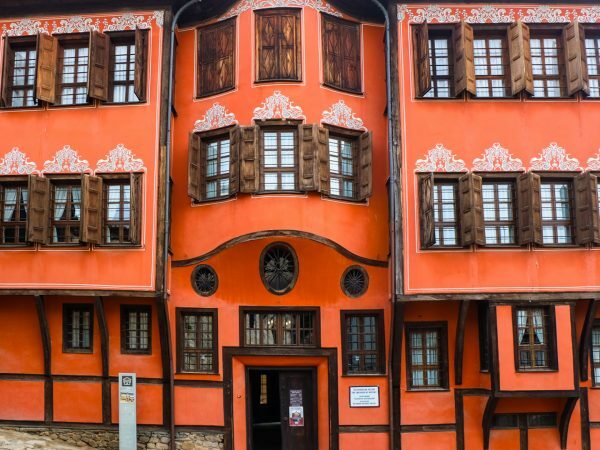 After lunch we take a walk on the cobblestone street of the historical town of Veliko Tarnovo and admire the 19th century traditional house and small shops once owned by city`s merchants. Our next interesting stop is Arbanasi Village which boasts several traditional Bulgarian houses built by the wealthiest and influent merchants of the area. Visit Nativity church and find the stories and symbols behind the byzantine frescoes. 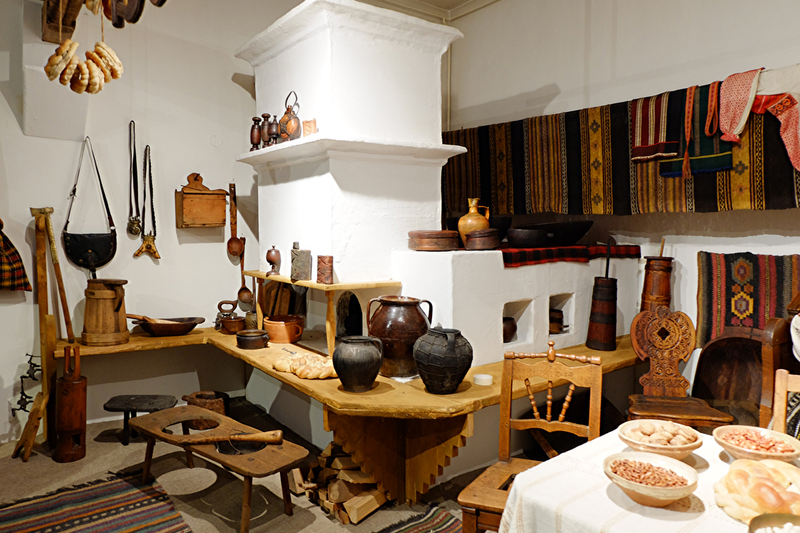 If time allows visit the interior of a Bulgarian house at Konstantsalieva House Museum. Before crossing the bridge across Danube River we make a stop in the old town of Ruse. Here we will admire the beautiful neo-classical architecture dating from 19th century. In the afternoon you’ll be taken back to Bucharest. Morning drive from Bucharest towards Republic of Moldova. On the way to Chisinau, the capital of Rep. of Moldova we will have a few interesting stops. One of them is the site of the Mud Volcanoes. There are generally few mud volcanoes in Europe, but dozens can be found in Russia, Italy, Azerbaijan and Romania. The mud volcanoes create a strange lunar landscape, due to the absence of vegetation around the cones. After this interesting stop we continue our drive to the border of Rep of Moldova. Reaching Chisinau in the evening you can enjoy a Moldavian dinner and taste one of its famous wines. 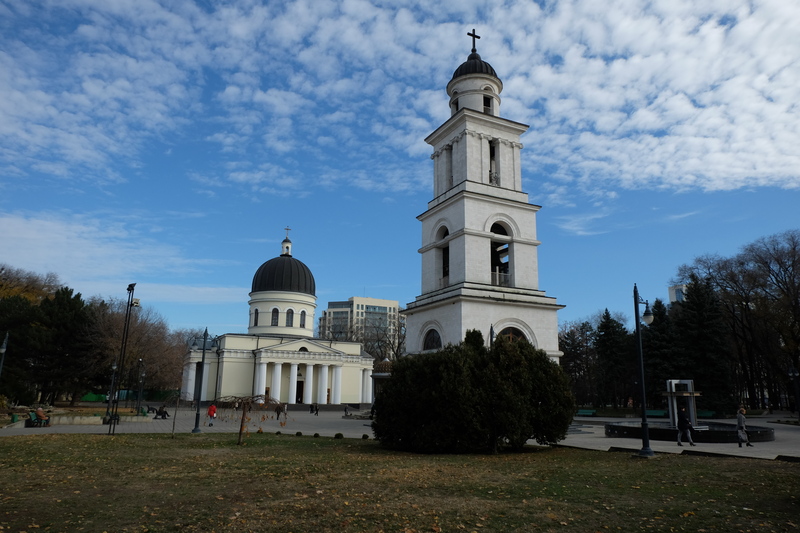 In the morning we take a sightseeing tour of Chisinau and admire Chisinau best tourist attractions. 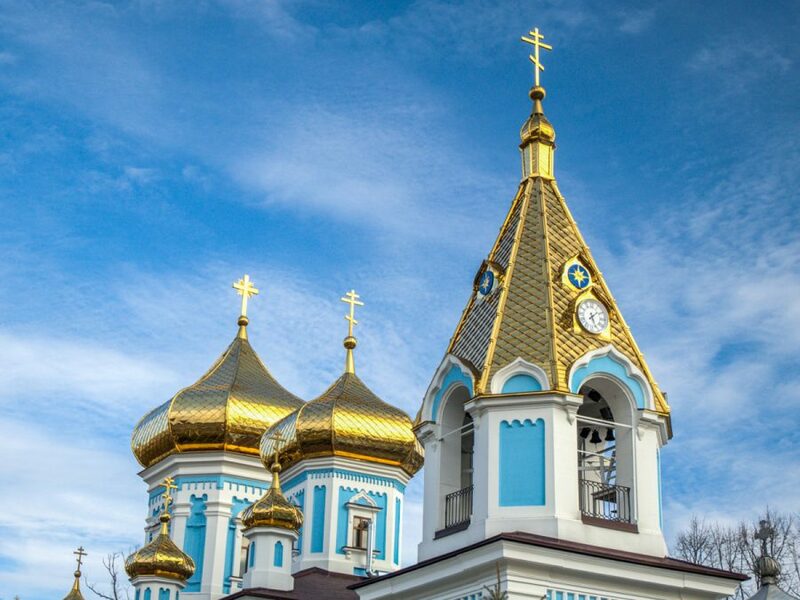 Visit Cathedral Park and Nativity Cathedral –the main church for the city. 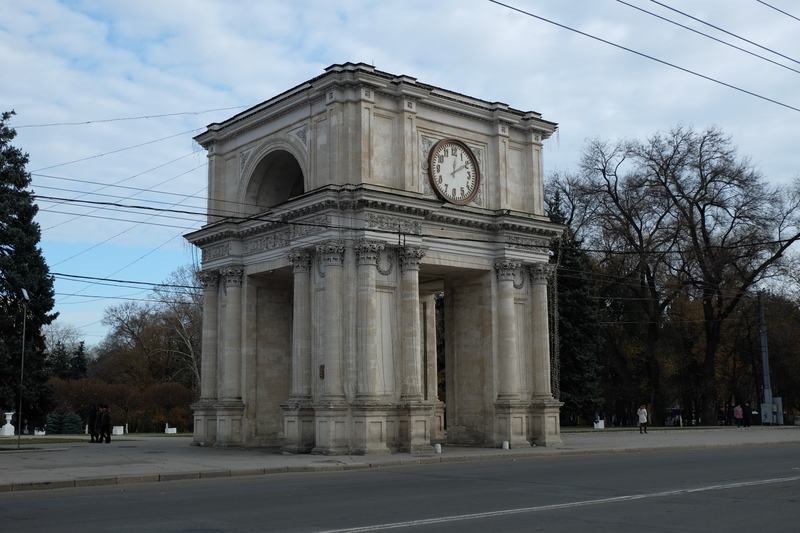 The Triumphant arch constructed in 1841 is the center piece of The Great National Assembly Square. Stefan the Great Monument is the gateway to another beautiful park of the same name. 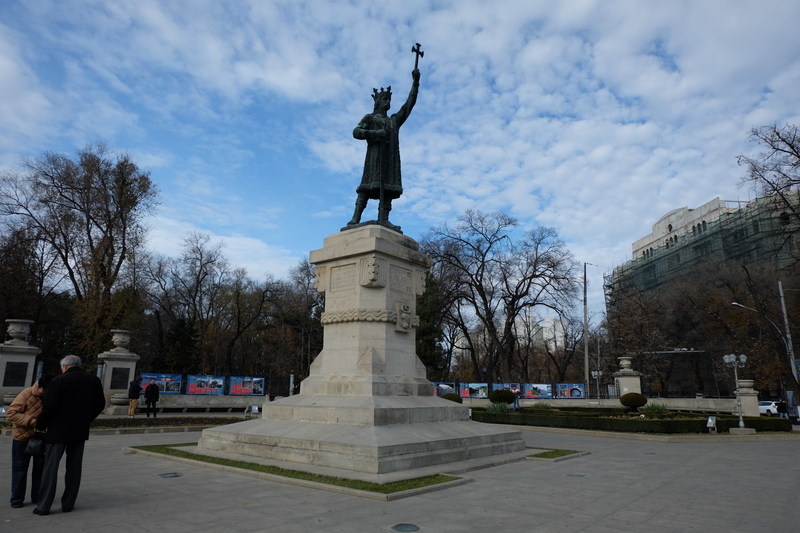 This monument is dedicated to Stephen III of Moldovia who in the 15th century achieved European fame by resisting the Turkish attacks. 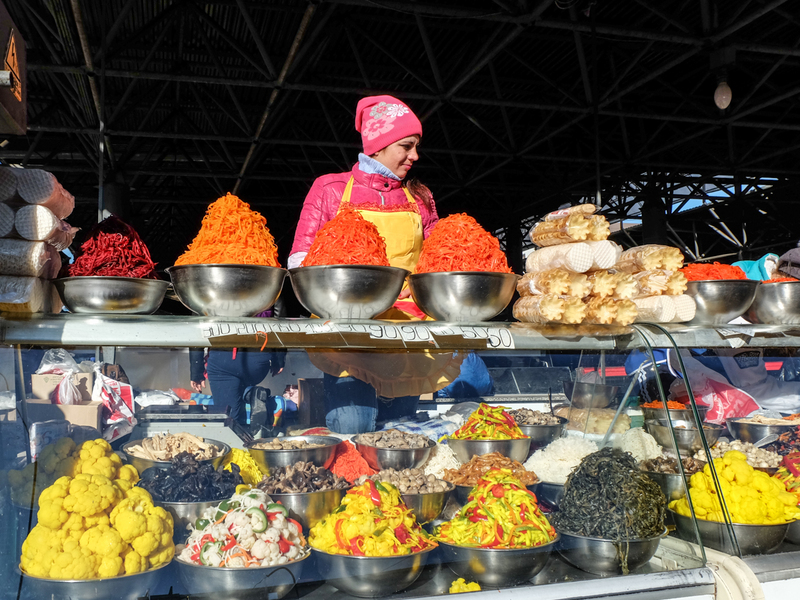 At the city’s artisan market and flea market you can find handmade crafts, paintings and relics from the Soviet days. Military Museum, containing all sorts of Soviet Era military vehicles and Puskin Museum where Pushkin lived when in exile from Russia can be visited during Cisinau sightseeing tour. Optional trip: Wine tasting and tour of the famous Cricova Winery, the largest underground wine cellar in the world. Just 15 km (some 9 miles) north of Chisinau, the capital of Moldova, Cricova mines lay deep underground. This mined limestone has been used for centuries to build the city of Chisinau and surrounding towns. 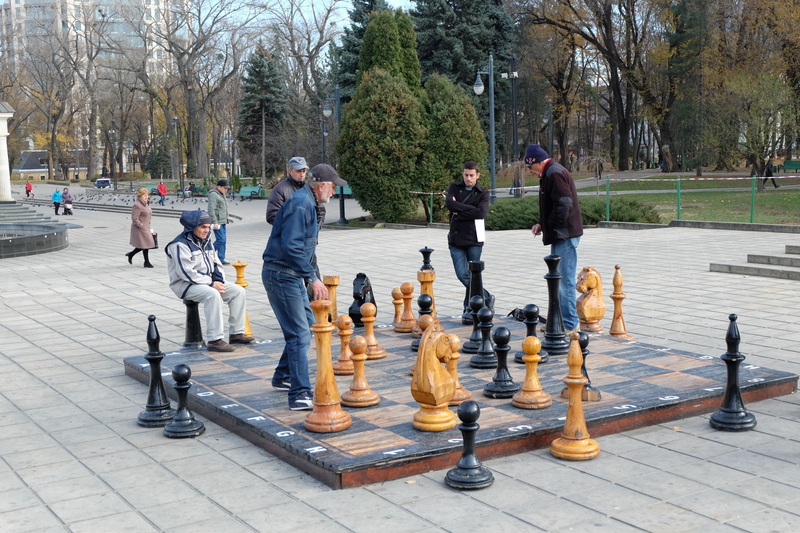 Overnight in Iasi – Centrally located. Located in the north-eastern part of the Romania, Iasi was for many centuries the crossing point of the most important trade routes linking Poland, Hungary, Russia and Constantinople. 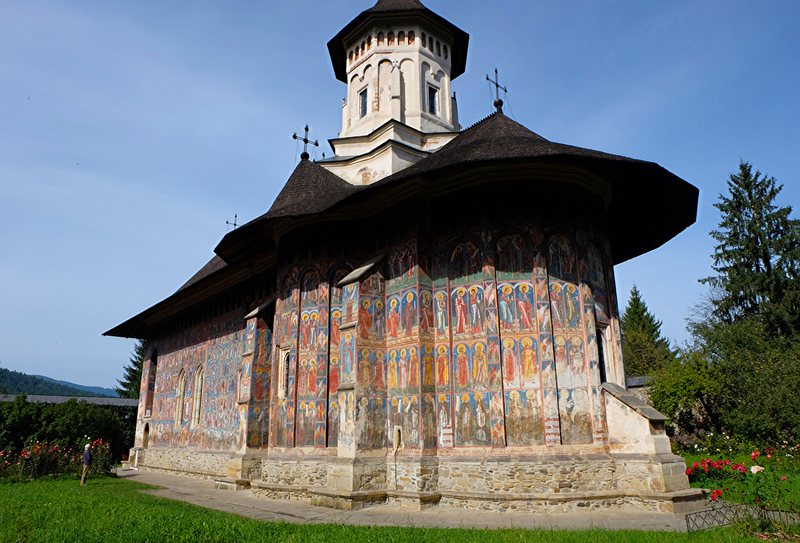 Voronot Monastery is famous for the exterior frescoes painted on the blue turquoise background. 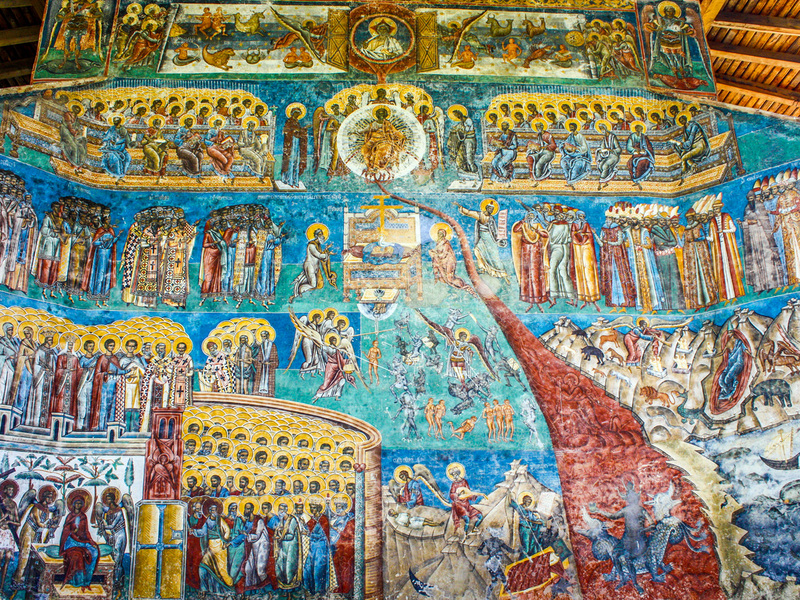 The Last Judgement scene is considered to be the finest of all the Bukovina Paintings. 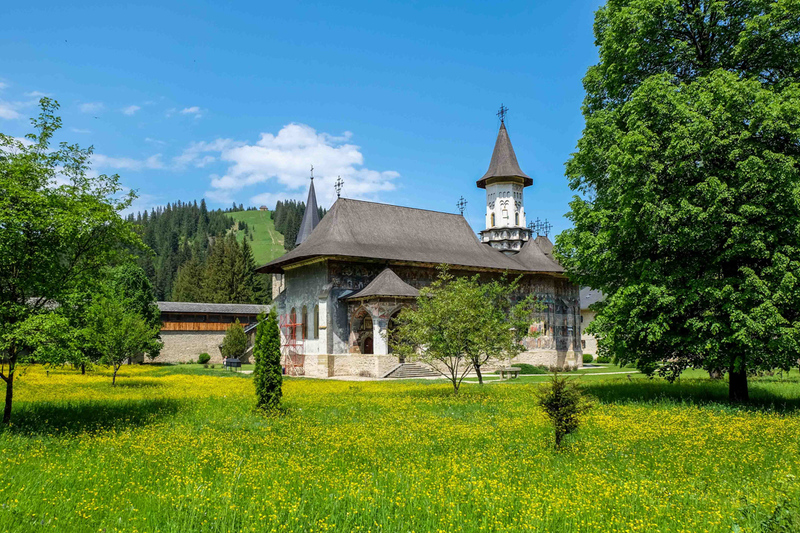 The tour of The Painted Churches of Bukovina can include an optional visit to the painted eggs Museum and workshop, where you can discover an ancient custom and different techniques of applying the traditional motifs on the eggs shell. Moldovita Monastery is a fortified church in splendid grounds whose exterior wall depict the 626 siege of Constantinople. The last visited painted monastery will be Sucevita Monastery which is the largest of the monasteries, surrounded by an imposing fortress with turrets. This monastery it`s unique for an exterior frescoe called The Staircase of Virtue which depicts the 30 steps from Hell to Heaven, possibly the journey taken by monks to their death. Today the journey is long and beautiful. 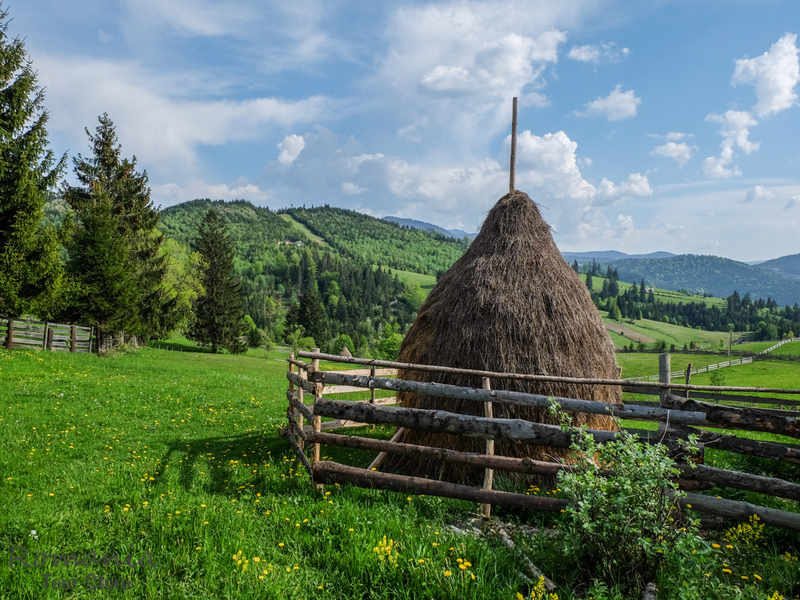 We leave Bucovina and head to Transylvania. After a couple of hours we reach a beautiful National Park of Ceahlau where Bicaz Gores are located. This is one of the most dramatic defiles in Romania, cutting a swathe through limestone rocks 300m high on its narrow route to Transylvania. At the other end of this spectacular passing is The Red Lake formed in 1873 after a landslide blocked the Bicaz River. Dead trees trunks stick out of the water, the floded area of a pine forest. 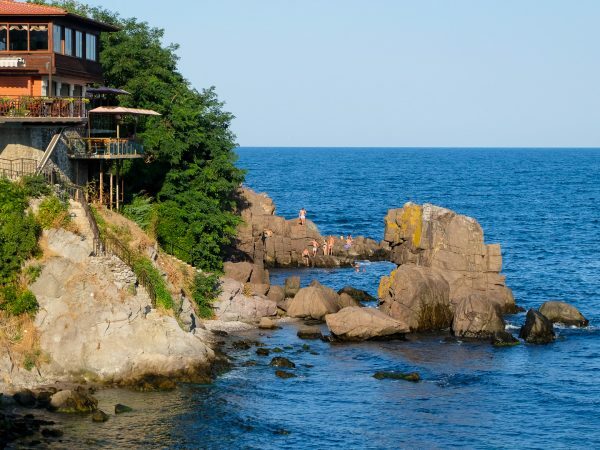 This day can conclude with an optional visit to Praid Salt mine or a walking tour of Sovata Spa Resort. Overnight in Sighisoara at Casa cu Cerb guesthouse or similar. Sighisoara is a charming medieval fortress and the only inhabited fortified citadel in Romania, and one of only a few in Europe. This picturesque settlement has a lot`s of tourist attractions that waits to be explored. 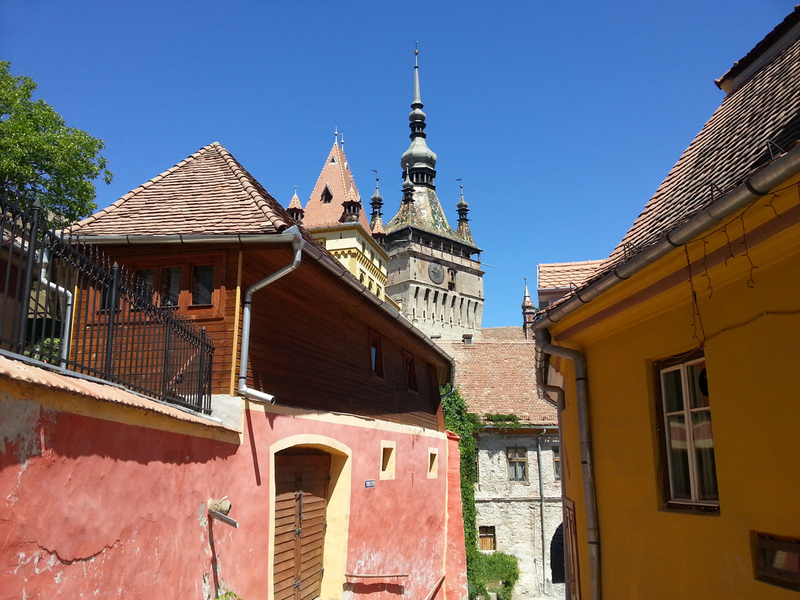 During this tour of Sighisoara we visit the famous Clock Tower with its figurines, Vlad Dracul House, Scholar Staircaise, Church on the Hill, Shoemakers Tower, Carpenters Street and other popular towers and houses. 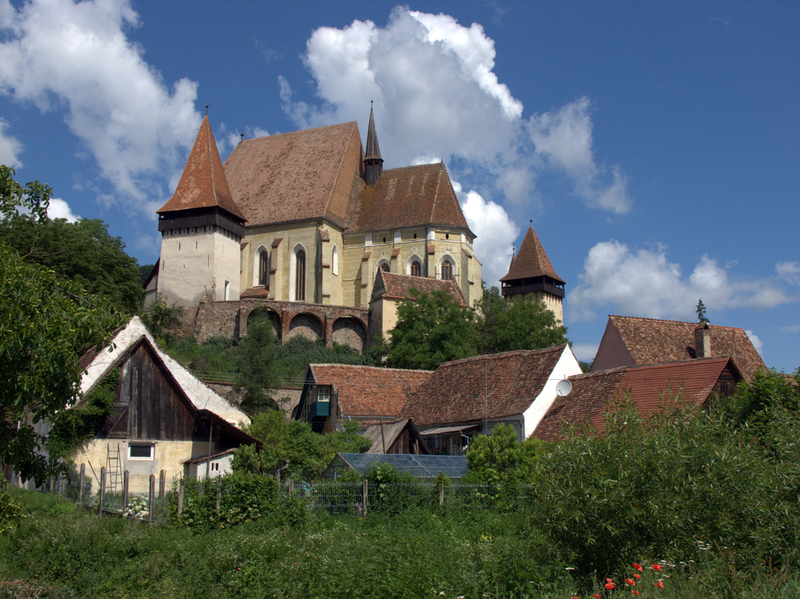 In the way to Sibiu we stop to the village of Biertan, one of the first Saxon settlements in Transylvania. 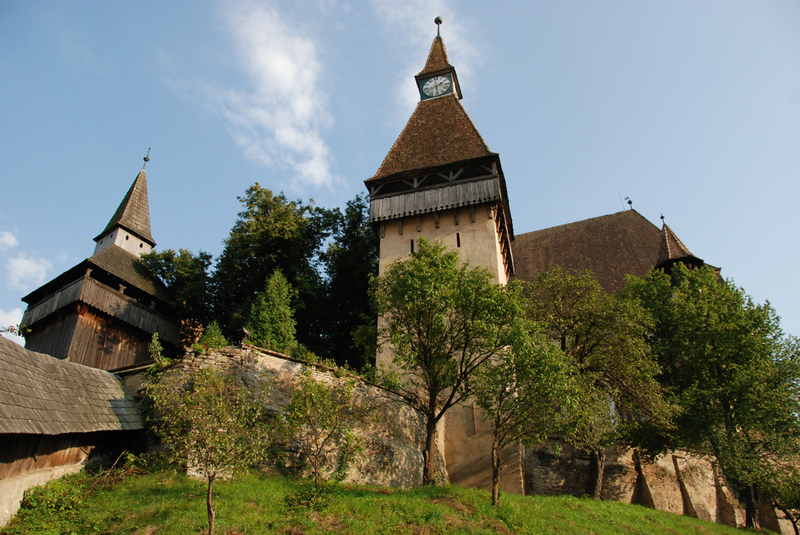 We visit here the early 16th –century Saxon fortified church, probably the most impressive in Romania. High on the hill and surrounded by three walls and six towers, it was the seat of a Lutheran bishop for almost 300 years. 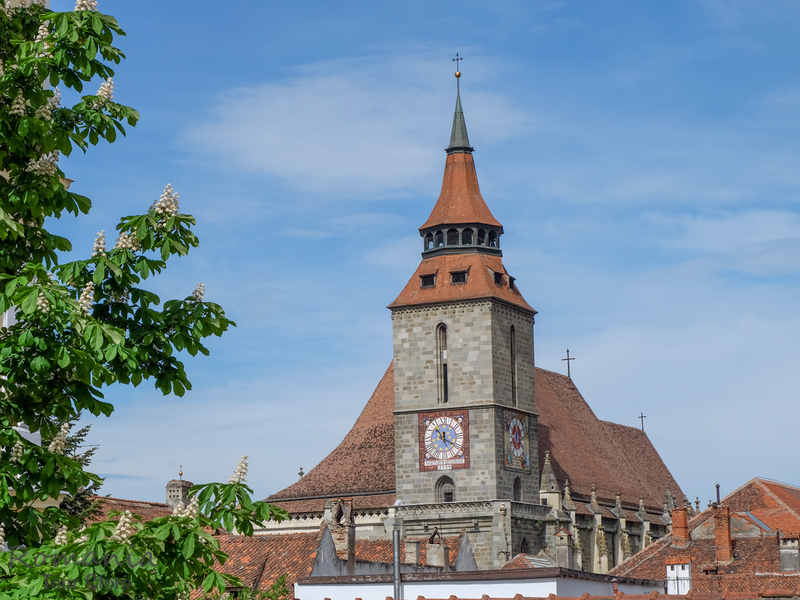 Reaching Sibiu we visit some of the famous squares, fortifications houses and churches. 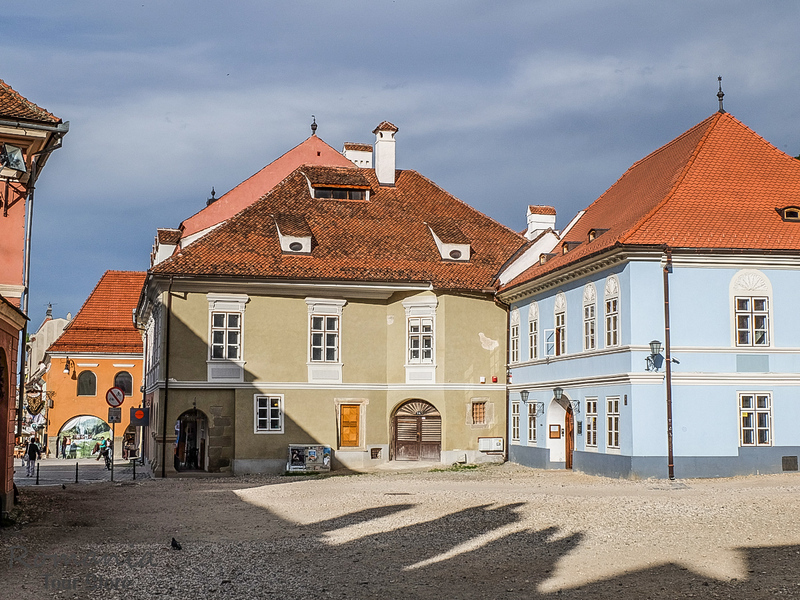 Sibiu was one of the most important Transylvania Saxon Town dating back from 12th century. Today Sibiu has some of Romania`s Best museums and best-preserved architecture, lively restaurants and nightlife scene. In the very center of Sibiu is the Big Square which was once the place of public meetings and executions. Passing through the Council Tower we reach the Small Square, a place where the merchants of the town were selling their goods. We stop for a few minutes on the Liars Bridge to listen the legends and stories told by your Romanian private guide. Overnight in Sibiu at Am Ring Hotel or similar. After breakfast you will be picked up by your Romanian guide from your hotel and transferred to Hunedoara where Hunyadi`s Castle is located. This castle has its origins in 14th century but was later rebuild and enlarged by John of Hunyadi and later by his son Mathias Corvinus. It was meant to be not only a luxurious residence during Iancu of Hunedoara’s reign, but also a strategic point to defend the region against various attacks. Like many medieval buildings, there are also a few legends surrounding this castle. Asides from the eerie atmosphere, some say the castle is also haunted. Another interesting stop of the day is Alba Iulia Fortress a symbol of national unity the capital of Transylvania from 1541 till 1690. Alba Iulia origins date back to Dacians who called it Apulon and later the Romans had an important legionary base here. Built in 18the century on 13th century foundation this imposing citadel this star-shaped Vauban fortress is one of the best preserved in Transylvania. We visit here Reunification Cathedral, Roman Catholic Cathedral, the Roman Ruins, the imposing gates and bastions. Optional trip to Sarmizegetusa Regia. If you are interested in Dacian and Roman History, from Hunyadi Castle we can take you to the former capital of Dacian State – Sarmizegetusa Regia, one of the most developed settlements out of Roman Empire. In the evening we will come back to Sibiu. Leaving Transylvania Region and Sibiu we will pass Olt River Valley (winter) and Transfagarasan Scenic road in the summer time to reach Wallachia province where Poineari fortress stands on top of the cliff. Well, today we will visit two important places connected with the real life character Dracula. We climb 1480 steps through the dense forest to the top of Poineri Fortress – the real castle use by Vlad the Impaler. Reaching out here you will be rewarded with spectacular views over the Arges River Valley. Not far from Poienari Fortress it`s Curtea de Arges Monastery, unique by its shape and decoration. The facades are decorated with oriental motifs but the interiors resembles with byzantine and Moorish influence. Leaving Curtea de Arges Monastery we pass to a spectacular corridor linking Walachia with Transylvania. On the right hand side we will have stunning views over the Carpathians. 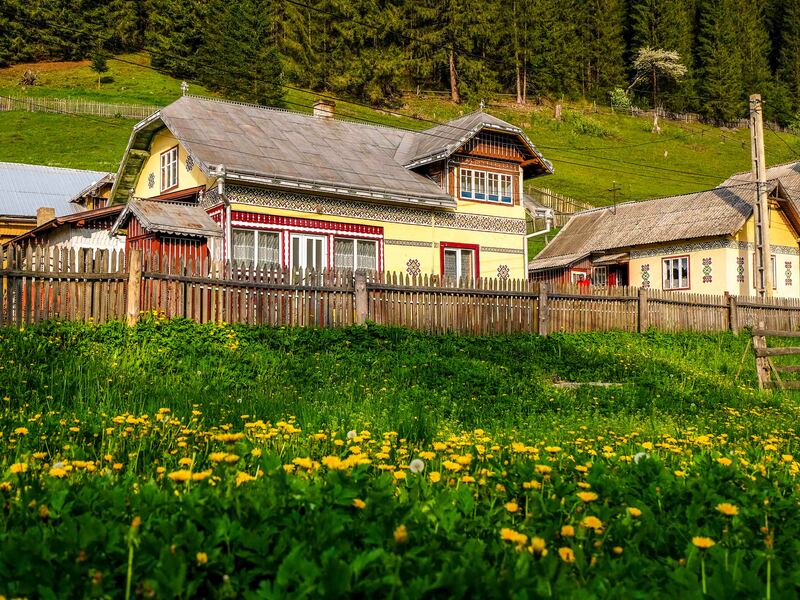 Remote mountain villages located at the foothills of Bucegi and Piatra Craiului Massifs give a special charm to this area. Start your morning with a tour of Bran Castle. The word “Bran” is a Slavic origin name and it means passing. 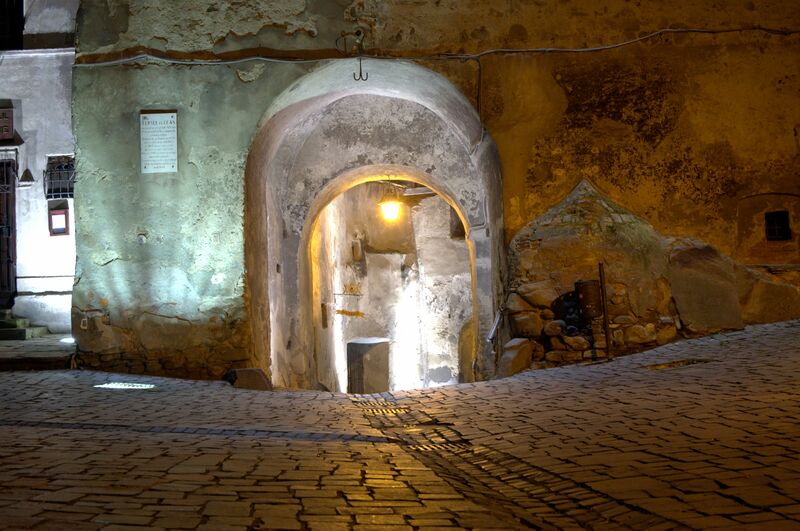 From the ancient times this was an important corridor linking Transylvania with Wallachia Region. Once the Ottomans Avars and Tartars thread this region, the Saxon of Transylvania started to build fortifications along this border. Is the case of Bran Castle built in 13777 to defend Bran Pass. Bran Castle thus protected Brasov city against invasion from the South, and also served as a custom post. Vlad the Implaer, the real life character, on whom the Dracula legend was based never lived here but he may have spent a few nights here hiding from the Turks. 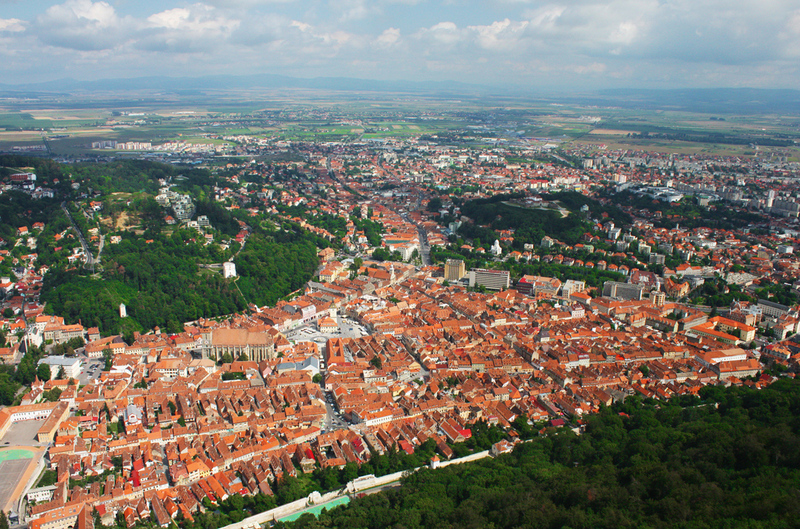 Brasov medieval city is just only a few minutes drive from Bran Castle. 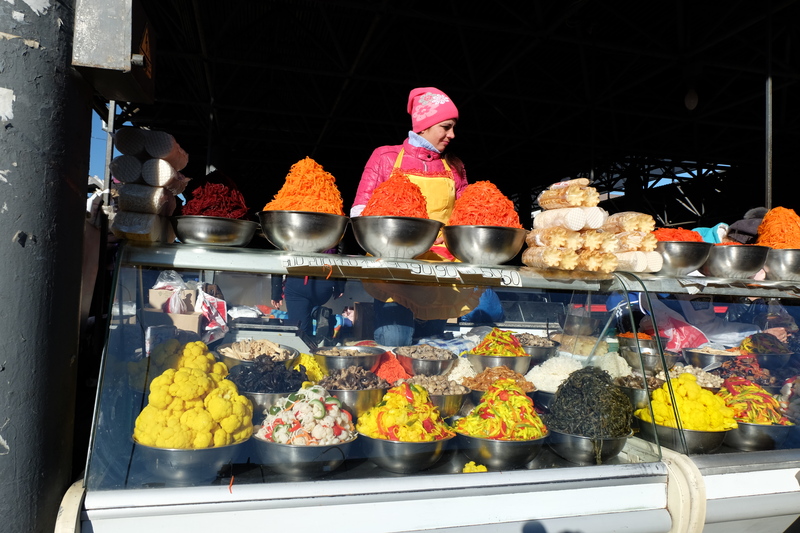 In the Old historical town of Brasov there are many things to visit. We will start with the visit of the Black Church where you can admire stunning gothic architecture and hear the legends and stories about this landmark of the city. Council Square is the heart of Brasov and one of Romania`s most imposing town squares being surrounded by Saxon merchant houses colourfully painted. Catherine`s Gate it’s a gothic spiky construction and the only original medieval gate from 16th century still preserved. On the way to Bucharest we visit Peles Castle. The tour of Romania, Bulgaria and Rep of Moldova will end in Bucharest. 30% discount for children below the age 7.
if i am indonesian, what visa should i apply?